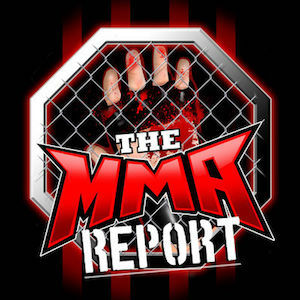 Former UFC welterweight champion Georges St-Pierre has signed a new contract with the UFC and Jason Floyd will give his thoughts on who should St-Pierre fight in his return fight on this week’s episode of The MMA Report Podcast. Along with discussing potential opponents for St-Pierre in his return to the UFC, Jason will discuss some of the latest news in mixed martial arts including former UFC flyweight title challenger Kyoji Horiguchi signing with Rizin after having his UFC contract expire and the cast for The Ultimate Fighter 25 has been revealed by the UFC. 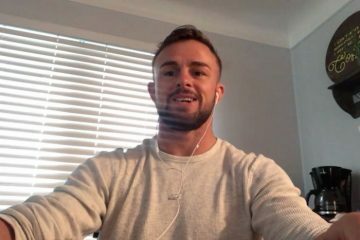 After talking about the latest news in MMA, Jason has interviews with Chris Honeycutt, Fernando Gonzalez, Rafael Lovato Jr., Cody Stamann and Shaun Scott. 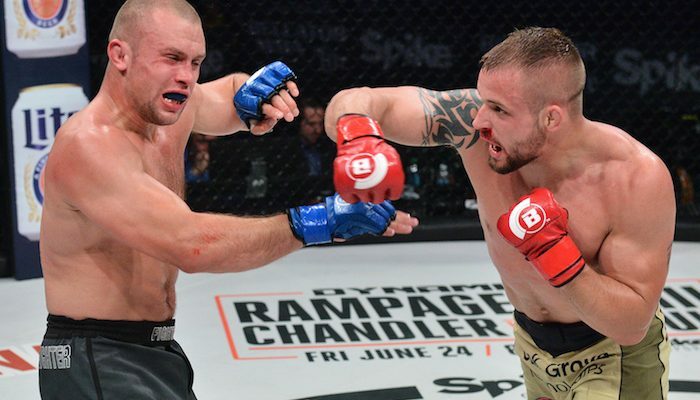 Honeycutt, Gonzalez and Lovato Jr. preview their fights set for next Friday night at Bellator 174, while Stamann talks about his fight in two weeks at Knockout Promotions 54 and Scott discusses his fight on Saturday in the main event of Shamrock FC 284. To wrap up this week’s podcast, Jason previews Friday’s Bellator 173. He talks about Liam McGeary’s new opponent, James Gallagher looking to remain undefeated and remains you that since this fight card is taking place in Northern Ireland, this will air on tape delay in the United Stated on Friday night. Whatever it was about Bellator, the light bulb went on for Fernando Gonzalez once he stepped into the Bellator cage. I would really enjoy seeing Fernando Gonzalez vs Paul Daley in a MMA matchup in the Bellator cage. I also think a rematch between Fernando Gonzalez vs MVP would go drastically different in favor of Fernando Gonzalez. I think if Chris Honeycutt wins against Kendall Grove, I think his next matchup would be against Hisaki Kato and not for the title. Because I believe Alexander Shlemenko is next up for the winner of Raphael Carvalho and Melvin Manhoef. Can you imagine a matchup between Nieman Garcie and Rafael Lovato Jr.? On paper that seems to be a very intriguing matchup.